It’s official: Gov. Doug Ducey has dropped an appeal to a class action lawsuit challenging his policy to restrict immigrants legally authorized to work in the country from getting driver’s licenses. The state will pay $600,000 in attorney’s fees to the plaintiffs. Attorneys with Ducey and the Arizona Department of Transportation on Thursday filed a motion to dismiss its appeal to the 9th Circuit Court of Appeals. The lawsuit, filed in September 2016, was brought by four immigrants who have federally issued work permits under protections for victims of crimes and women victims of domestic violence. The lawsuit stemmed from a 2013 change in ADOT policy that the court pointed was made to bolster Arizona’s defense in court in a separate case from 2012 challenging the state’s denial of driver’s licenses to immigrant youth known as dreamers. The motion to drop the 2016 case appeal means the end of costly court fights that began in 2012 with an executive order issued by then-Gov. Jan Brewer. She sought to prohibit the state from issuing driver’s licenses to young immigrants and longtime residents of the country who have temporary protections under the Deferred Action for Childhood Arrivals program. Courts sided with the Dreamers, saying ADOT had no business determining who has lawful immigration status. The U.S. Supreme Court turned down the case in March 2018, and in December a district judge ordered the state to pay $2 million in litigation costs. The settlement is the final nail in the coffin for Arizona’s fight to restrict immigrants with special status from driving. “It will mean the end of this case, it will mean that all in Arizona who can live and work in Arizona will now be also be able to drive,” said Nicholas Espiritu, an attorney with the National Immigration Law Center, which represented the plaintiffs. Espiritu said the 2016 lawsuit affected at least 1,400 people who are considered a vulnerable population. They mostly “seek to move on with their lives, and having driver license is essential in Arizona,” he said. More than six years and $2.6 million later, the state is back at its 2012 standards for what documents it accepts as proof eligibility for a drivers license. 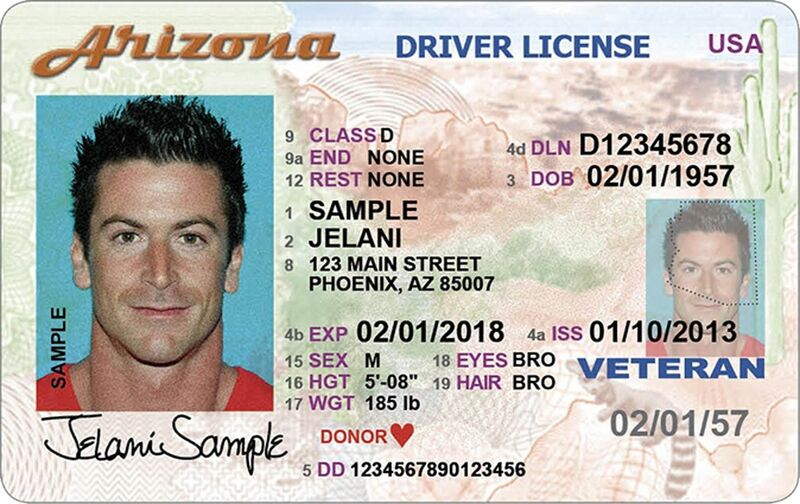 In a press release on Jan. 23, ADOT said it accept federally issued work permits to seek a drivers license.